Date of publication: August 02 2015 . 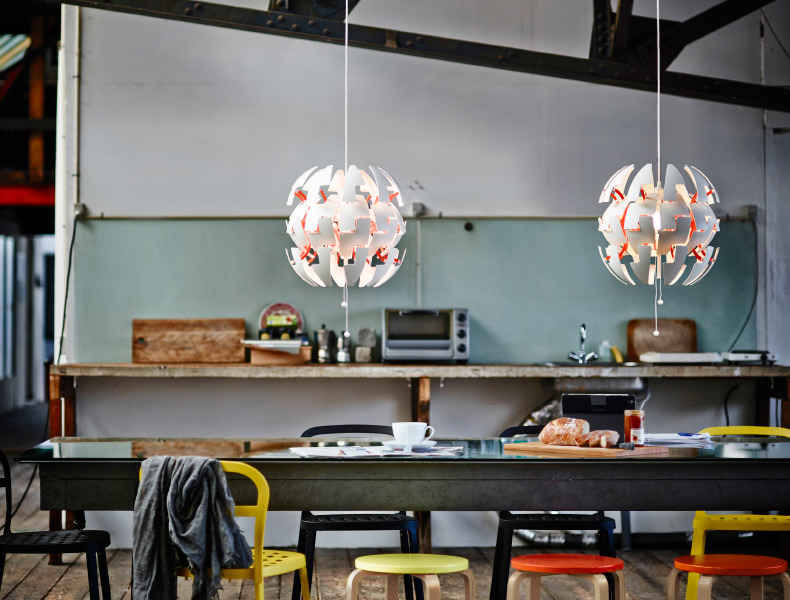 Hanging lamp from IKEA PS collection 2014 was awarded under the name Red Dot Design Award. In this competition participated 4928 designer creations presented 56 38 countries and members of the jury chose the product from the collection IKEA PS 2014. This award is very prestigious, which means that the design work was performed flawlessly and design decision was carefully thought out. This world-famous Award awarded by the European Institute of Design Center of the earth Westphalia - North Rhine located in the city of Essen, in Germany. Not ignored and functional bonus, which is expressed as an opportunity to change the level of room lighting. The creation of this Pendant lights It is taken as the basis of science-fiction movies and video games. The lamp has a simple mechanism that changes the shape of the lamp, as well as the brightness of the light. This can be easily done by simply pulling the cord. 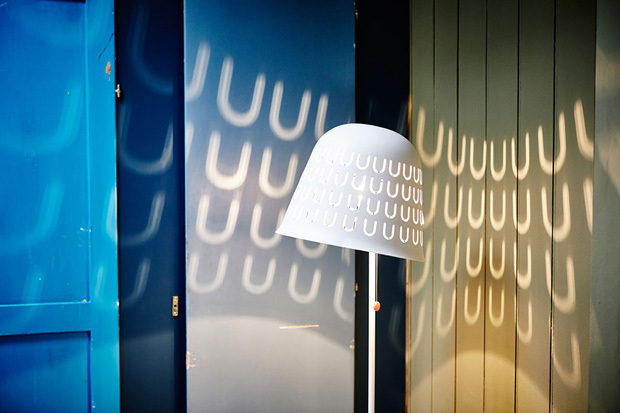 If the lamp is closed, it is able to pass only a fraction of the light, and when it is fully open, you can see an interesting lighting effect that can be projected on the walls. Manager IKEA range, Bjorn BlockIt emphasizes the relatively democratic price for hanging lamp, so it will be able to afford even the citizens with average incomes. But Professor Peter Zec, who is the founder and CEO of Red Dot Design Award, said the award IKEA has received well-deserved, as the competition was really big and each application is assessed individually on the basis of its originality and high standards. All projects that have won in the largest design competitionWill present for 4-weeks at a special exhibition titled "Design on Stage", and then fill up the museum Red Dot. IKEA and Cannes Lions. Advertiser year. Will soon begin 58 International Advertising Festival "Cannes Lions". As the press service of the festival, this year's award in the category "Advertiser of the Year" will receive IKEA furniture concern. What we congratulate him. The "Design advice: change in the house - it's easy!"